Your karma comes in percentages. 1. The smallest percentage of karma relates to the length of your life. 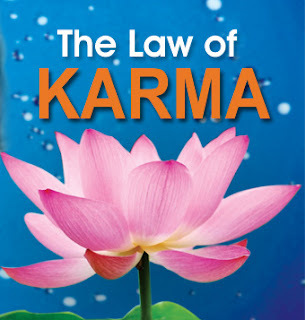 No matter what you do, negative or positive, this karma determines the length of your life. The percentage is 5 percent. This is an interesting concept as we can see that the length of our life is not nearly as important as the nature of our life. 2. Name and fame equal 6 percent. Each is an equal 3 percent, so your name and the level of notoriety are 6 percent of your reason for being in this reincarnation. 3. The karma that determines your individuality equals 8 percent, and the karma that determines your family and family origin is another 8 percent for a total of 16 percent. 4. The karma of knowledge, happiness, and awareness each equal 12 percent for a total of 36 percent. Remember, negative karma can block happiness (12 percent of your being) just as it can hinder knowledge and the ability to see things as they truly are. 6. The karma of joy equals 18 percent. The greatest amount of negative karma goes into prohibiting the expression of joy. Let’s begin our yoga practice and see if we can find a little joy today. Your Karma comes to you in percentages. What this means is that your karma is divided into percentages and these percentages rule different areas of your life. We cannot change our individuality or our family of origin, but we can change the other 84 %; name and fame, knowledge, happiness and awareness, beliefs and conduct, and the expression of joy. We have chosen to return to a particular family as a particular individual for the completion of our lessons. Using these percentages we can see ways to improve our lives and thus find joy. There are eight types of karma or causes we encounter in our lifetime that affect the outcome of our lives. Our attitudes, the events in our lives, time gates, reciprocity, generating, supporting, counteractive and destructive energy affect the quality of our lives. Each of these forms of energy affects our lives in either positive or negative ways. How we see the world, what we do and how we react determines the structure and nature of our lives. To overcome a piece of karma, or to implement a lasting change we need to lock to our cellular structure a change in energy. Karma yoga teaches that it takes 120 days to overcome a piece of karma. Modern science tells us that new red blood cells regenerate about every 120 days. So most likely it would take about 120 days to lock into your cellular memory something that you would like to change. Our emotions are energy impressions embedded into the protein structure of our cells. Our body is constantly building up and breaking down these protein structures. 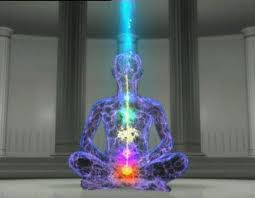 Any emotional energy stored in your cells will be regenerated into new cells. The question then becomes, how do we best implant new energy memory into the cells? Let’s start with our yoga practice. How do we best implant new energy memory into the cells? Karma teaches us that the best way to learn a lesson and implement change is through awareness, meditation, contemplation, reflection, and vicarious learning. By observing and consciously becoming aware of the karma we are attempting to change, we can and will learn the lesson. Karma tells us that if the lesson has been truly learned (change has been made) a space opens and we then have a greater opportunity to manifest free will. We become the masters of our own destiny and this leads to prosperity. What are our deepest karmic desires? Because life is simply cause and effect, our energy causes our thoughts to materialize. Our thoughts then take on emotional qualities. How we manifest these thoughts create the form and function of our lives. Remember that energy is carried forward from our past lives and is brought into this life, not as a punishment or reward, but as a means of presenting us with the quickest way to learn our karmic lesson. The question then becomes; what is our lesson? Before we can discover the lesson we have come here to learn, we must reincarnate. According to karma, in the last forty-eight minutes of your last life you had desires. These desires must then be realized again through your next life. As we depart this earth we leave behind our bodies and our earthly senses. The soul cannot experience earthly desires without the help of the body and the senses so it chooses to return. These desires may be of an addictive nature, which means that the addiction, drama, and negativity will intensify in the next lifetime. 3. The desire to taste (experience) things we never tasted before. According to karma, we leave this world with unfinished business. Our holdover place is somewhat like heaven. It is not the final resting place, but simply a place to reflect. When the time is right we make the decision to return to another life in an attempt to fulfill our karma. The soul does not possess human senses and thus must return to earth in human form to experience the desires of this lifetime. We choose the nature of our birth and the structure of our lives as the most expedient experience to teach us our karmic lesson. This does not mean we accomplish our mission in this lifetime or the next. We keep trying until we get it right. A lifetime, according to karma is simply a blink of time in the universe. So, according to karma, we are eternal and infinite like the energy of the universe and therefore have many lifetimes to gather the wisdom we seek. Choose wisely and you will discover liberation; the freedom to be at peace. What is the Karma of Life? There are eight types of karma we encounter in our lifetime. The first is attitudinal karma. All karmic events are processed through the attitudes we carry. Our attitudes determine the outcome of our experiences and our lives. The second is event karma. Certain events happen in the course of our lives that create change. Marriages, birth of children, divorce, death of loved one, change in job and other earthly events that help to shape our lives. The third is time gates. We have all had experiences or known someone whose life has suddenly taken a drastic change. Like the starving young actor who suddenly gets a break and his whole life changes. It is said this person has passed through a time gate. Time gates are everywhere and due to our attitudes we can often walk right by an opportunity. The fourth is reciprocity. We reap what we sow and so what we give out into the world comes back to us. The fifth is generating. We are constantly generating karma by our actions. It will either manifest in this lifetime or the next. The sixth is supportive karma. This is the action we perform that supports karmic change. An example would be counseling or taking this soul walk. The seventh is counteractive karma or doing things that are counter to the karma we are trying to work out. This is when we know we should be acting in one way, but act in another and thus create self-sabotaging actions. The eighth is destructive karma. This of course is action that we take that deepens our karma or adds destructive consequences to our lives. A life of crime or drug addiction would be destructive examples. To work though or overcome karma we need to be able to stay balanced in the face of adversity, stay flexible enough to weather change and strong enough to be grounded compassion over righteousness. Karma teaches us that the best way to learn a lesson and implement change is through awareness, meditation, contemplation, reflection, and vicarious learning. By observing and consciously becoming aware of the karma we are attempting to change, we can and will learn the lesson. Karma tells us that if the lesson has been truly learned (change has been made) a space opens and we then have a greater opportunity to manifest free will. We become the masters of our own destiny and this leads to prosperity.